Beautiful 3 bedroom home on 1+ acre lot with views. Recently updated. Gorgeous kitchen w/brand new cabinets, appliances, granite counter tops open to an enormous great room. Freshly painted inside & out, new carpet & new''wood-look'' tile. The roof is approximately 2 yrs old. 1 Brand new HVAC unit, New water heater, new garbage disposal, new sinks( including laundry sink), faucets & toilets, Large tubs were newly re-finished. New hardware, ceiling fans & light fixtures & garage door opener. Located in a nice county pocket next to high end custom homes. Detached garage can be built for slightly more see documents tab for plans/pricing. 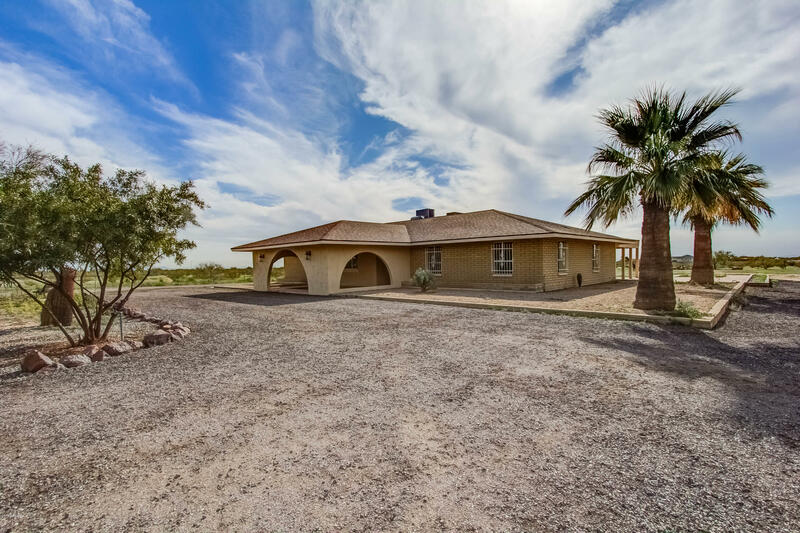 Property has extra large concrete driveway to accommodate a 45 foot+ RV with a covered RV carport cover. 1 acre lot from new lot split. NO HOA.